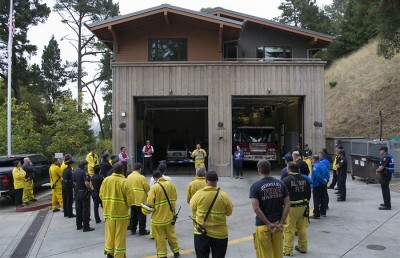 On Sept. 9, the UC Berkeley Fire Fuel Management Program announced the indefinite delay of its Hill Campus Fire Hazard Reduction Program because of a termination of Federal Emergency Management Agency, or FEMA, funds granted to the campus and city of Oakland for tree reduction and management. The delay came as a result of a lawsuit filed by the Hills Conservation Network, or HCN — a group of local activists — against defendants including FEMA, the city of Oakland and the University of California Board of Regents. The parties had previously agreed to settle the lawsuit and terminate the funding of grants for tree reduction and management projects by UC Berkeley and Oakland, though the university opposed the settlement, according to the court documents. The UC Berkeley project planned to remove eucalyptus trees in the campus-owned East Bay Hills area in order to reduce fire risk. HCN filed the lawsuit in March 2015 because it was concerned that the UC Berkeley and Oakland projects would increase the risk of fire rather than decrease it, said HCN President Dan Grassetti. After the campus applied for the grant more than 10 years ago, FEMA spent years creating an Environmental Impact Study that recommended the trees in the Berkeley Hills area owned by campus be removed and suggested ways to do so safely. UC Berkeley sent a letter to FEMA on Monday stating that the campus believes that FEMA does not have the right to terminate the grant, said campus spokesperson Christine Shaff. Campus fire science professor Scott Stephens, who also chairs a campus committee which had been reviewing the FEMA grant, supported the UC Berkeley project plan because eucalyptus trees can ignite spot fires when the wind transports burning eucalyptus bark to previously unaffected areas. 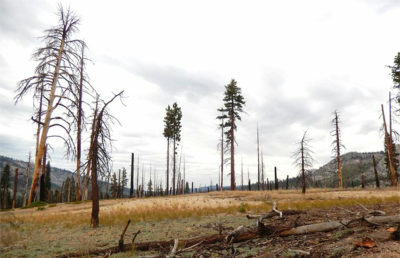 Furthermore, he said, clearing the area of eucalyptus trees would allow native and endangered vegetation to have a better habitat in which to grow. 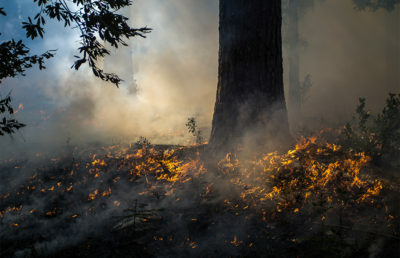 “The eucalyptus probably does (spot fire initiation) at least 10 times more efficiently, (because) the ribbon bark pieces are almost like a small little wing of a model airplane,” Stephens said. Jon Kaufman, vice president of the Claremont Canyon Conservancy, said literature in the field supports the finding that eucalyptus trees cause forest fire expansion and were responsible for the destructive nature of the 1991 fire in Oakland. The defunding of the projects “throws the people in Claremont Canyon under the bus,” Kaufman said. According to Mary Simms, external affairs officer for FEMA, the California Office of Emergency Services and FEMA would like to reallocate the remaining $3.5 million which was originally granted to the projects in the East Bay Hills to fire prevention in the area. Contact Alex Fang at [email protected] and follow him on Twitter at @alexfang_DC.